A romantic adventure on a snowy mountain landscape in a drawn-carriage or sleigh, as well as going for a horse ride in the snow. East Tyrol gives a special experience, different from your home riding experience. At the Haus Alpenfrieden in the village of St. Jakob village, 20 km away from the hotel, we can try the horses drawn carriage ride drawn by the robust Haflinger horses a specially bred for the mountains. The riding school is a 15 km away from the hotel in Amlach, near Lienz. 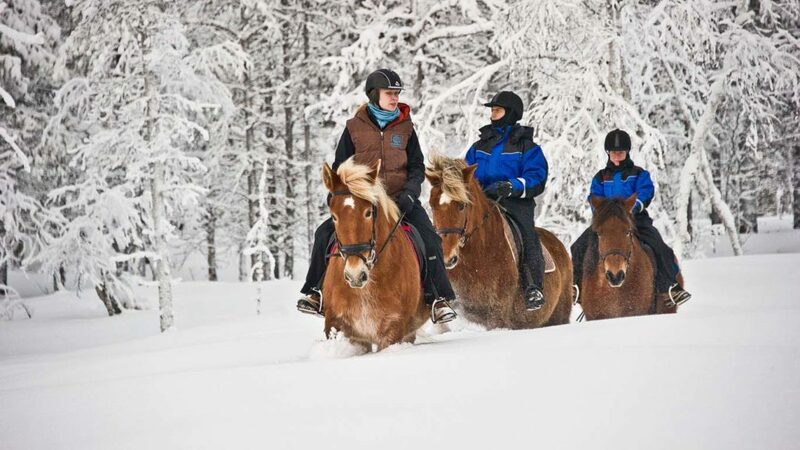 It offers riding lessons on all levels in indoor and outdoor school as well, all year round. The riding school is a 15 km away from the hotel in the village of Lavant. It offers riding lessons on all levels in indoor and outdoor school as well, all year round. The riding school is a 15 km away from the hotel the village of Prägraten. It offers riding lessons on all levels all year round.